Traditionally, we will talk about the top slalom skis from Ogasaka (Japan), 165 cm length. In this year (2018), we got these skis at the same time when beginning of testing in Japan (for which thanks to Iwamoto san). The geometry and design are the same as the models 2017/2018. On the snow skis seemed a little softer, but laboratory measurements showed that within the accuracy of measurements, skis can be considered the same. That is, the main change to the Ogasaka Triun SL 2019 model year in comparison of 2018 one is coloring. 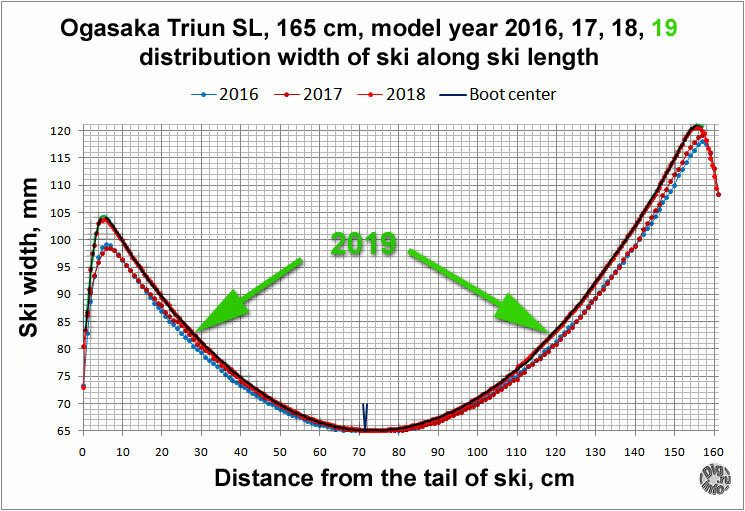 In short, the skis Ogasaka Triun SL has been radically reworked for the model year 2018 (the official year is being written 2017/2018). First of all, a very radical side cutout is made: 11.7 meters. In “race stock” skis of other manufacturers, the radius of 12.5 + -0.3 m has settled in recent years. Such radius was also in the Ogasaka Triun SL series of previous years. That is, the skis are noticeably wider in the tip and tail. In order to ensure the rigidity of the twisting, it was apparently necessary to increase the rigidity to deflection. In addition, the shape of the deflection changed, it became more smooth, “drop-shaped”. From the design, all elements of the “adjustment” of rigidity and elasticity along the length of the ski were removed. The coincidence is very good. The FIS calculator gives a radius of 11.7 meters. 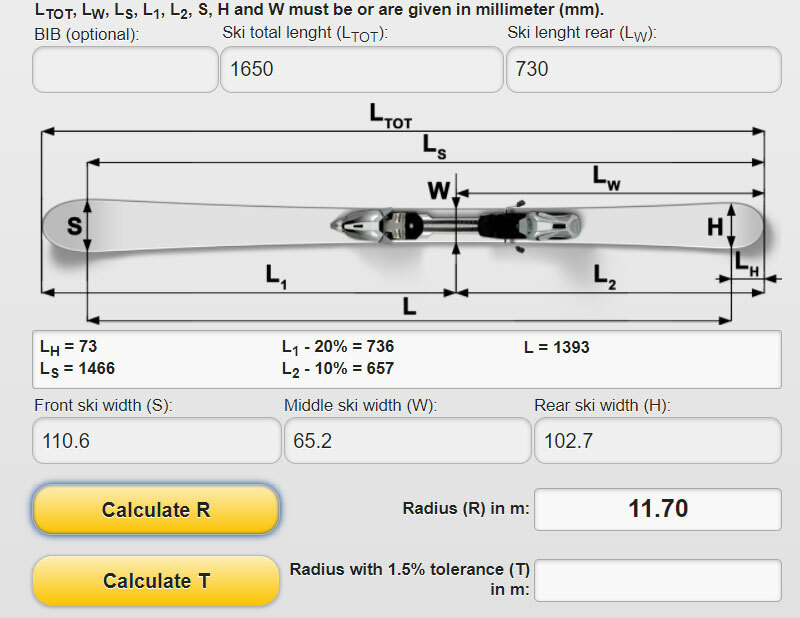 The size and shape of the deflection of the ski under the “laboratory” load also coincides. More precisely, the ski of 2019 is slightly softer (by 3.5% at a load of 30 kg), but this is within the limits of measurement accuracy. 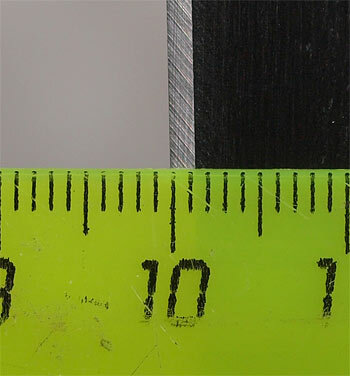 The angles of sharpening are 87 degrees from the side and (I can be mistaken) 0.5 degrees from the base. This can be considered a traditional angle for “race stock” skis, at least on those skis that I work with. 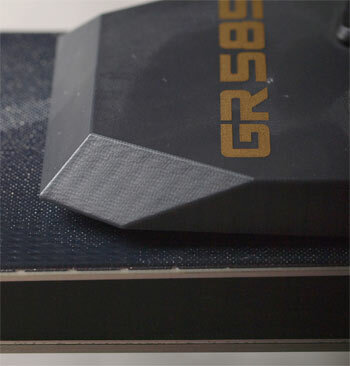 The “top” platform GR 585N is installed on test skis. The platform is actually quite interesting, a “pie” of composite materials with aluminum elements. There are no holes for the bindings, that is, you can install almost any bindings. A little emotion 🙂 Generally hoped that the skis of the next model year will be softer than this year. Those skis I ride on (Ogasaka Triun SL 2015) are tougher than the race-stock Atomics that I had before, and those Atoms have become stiffer compared to previous Atomics. That is, I can not consider my Ogasaka as soft, but I deal with them. After that, Ogasaka became stiffer in 2017 and even more stiffer in 2018. This has its pluses, Ogasaka these years are more stable, it allows noticeably (even at my amateur level) to improve the control of the arc. But nevertheless, if I do not bend the skis in the slalom course, then I can not use this advantage. 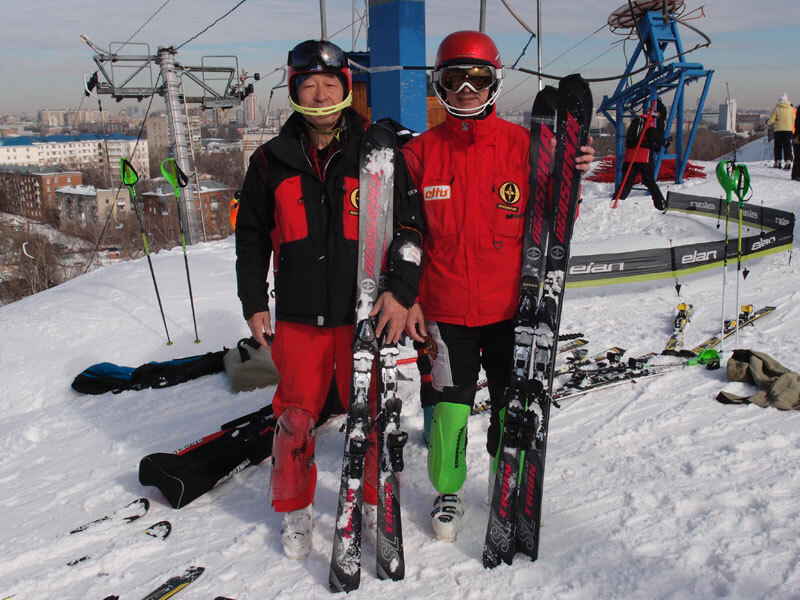 Therefore, I probably need to look at the “ladies’ ” skis 155 cm length (they are in the photo in hand of Iwamoto san). Tried them, really I bend it, though more difficultly, than my skis. But they have an even more radical sidecut then Ogasaka 2019 165 cm. So I need deeply rework the feeling of the arc before to understand something. I’ve tested skis Ogasaka Truin SL 155 cm of 2019 in slalom course. And, “thoughtfully”, the whole training. I like these skis very much. First, as already mentioned, I with my technique and 80 kg of weight can deflect it, and with efforts approximately the same as for my Ogasaka Truin SL 165 cm of 2015 model year. That is, I do not feel any discomfort when changing skis, I do not need to put more or less pressure on them than I’m used to for “now”. In this case, it is not particularly felt that the length is less, since the ski for this length is apparently stiff. Here’s a video. 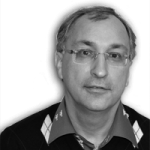 The course by Vitaly Sizov (rather complicated, but rhythmic), video by Polina Nechaeva.